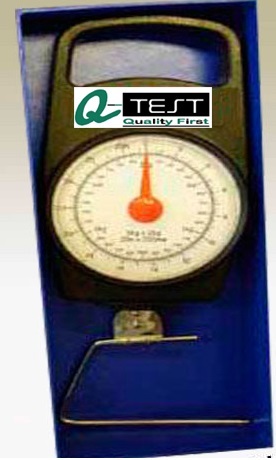 Our Bond strength tester is handy instrument to measure bonding strength of any textile / coated material. Example : Bond strength of fusing interlining with base fabric can be measured or bond strength in coated / laminated fabric can be measured. Good Instrument to measure efficiency of fusing machine / laminating or coated machine. Max capacity - 3kg, Accuracy – 25 gms. Digital Handy model and fixed floor model are also available. Long Gripper is provided to hold the test specimen accurately.